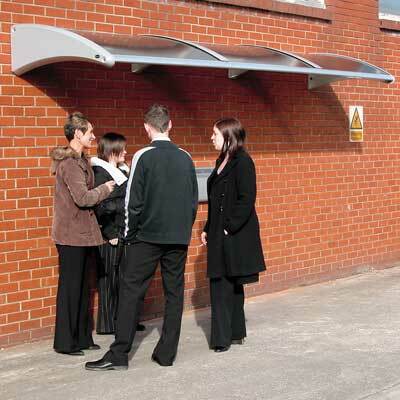 Glasdon UK offer a wide range of smoking shelters and wall or posted mounted cigarette bins ideal for outside office buildings, hospitals, retail parks and shopping centres. Designed to be fully compliable with the UK smoke-free legislation, we give you the option to apply a cigarette bin or a perch seat to help maximise comfort in your smoking shelter. Take advantage of our personalisation service and add helpful signage to highlight your exterior smoking area. We understand that choosing a shelter or canopy is not always a straight forward process. To simplify this, chat to our in-house team through our live chat feature on the website. 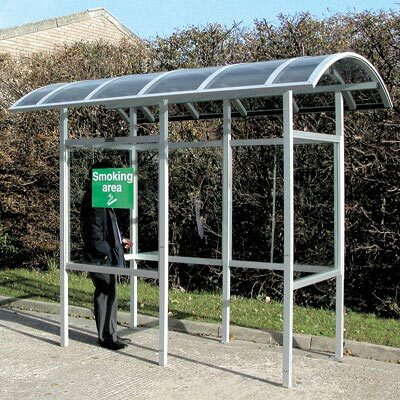 Available as pre-assembled or self-assemble in a variety of styles and finishes, the Carleton 50 smoking shelter is an ideal cost effective solution. 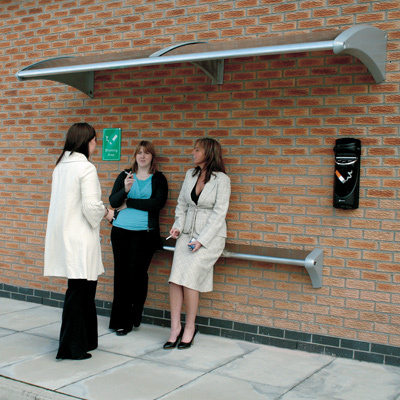 Glasdon smoking canopies range from wall-mounted to post-mounted, optimal for where space is limited. The Eclipse™ Back-to-Back Smokers' Canopy can be supplied with a choice of concrete-in or surface-mounting posts for free-stranding installation. Helping to provide much needed weather protection, you can enhance your designated smoking point with additional signage, wall-mounted seating and cigarette bins creating a clean and safer smoking area.